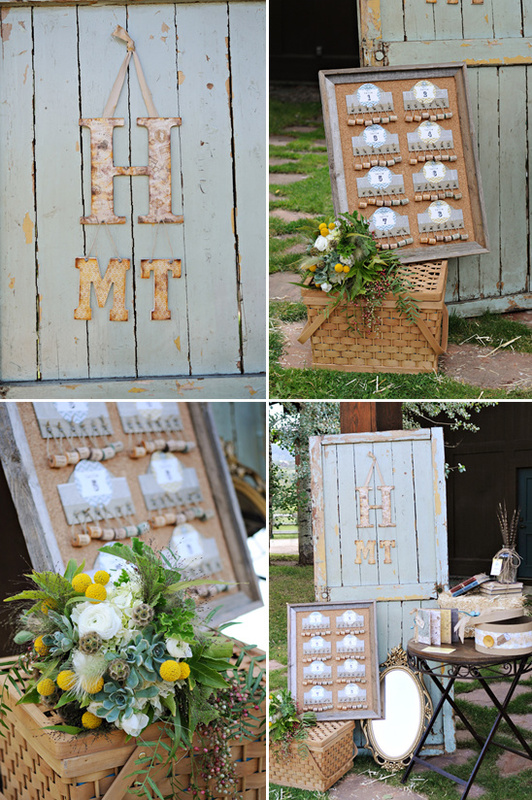 This look was designed by Utah Events by Design and highlights everything that’s fun and sweet about a rustic-styled wedding in Utah. 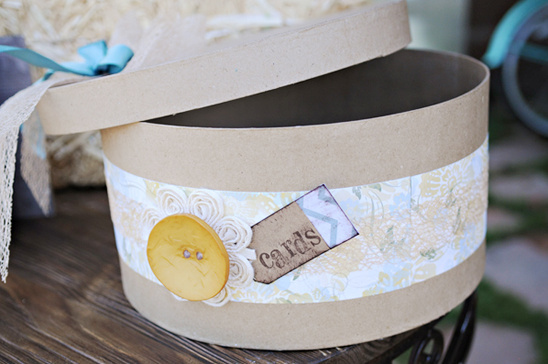 The color pallet of this design consists of colors often found in Utah’s beautiful mountain scape such as mustard yellow, cool aqua, browns and deep burgundy. 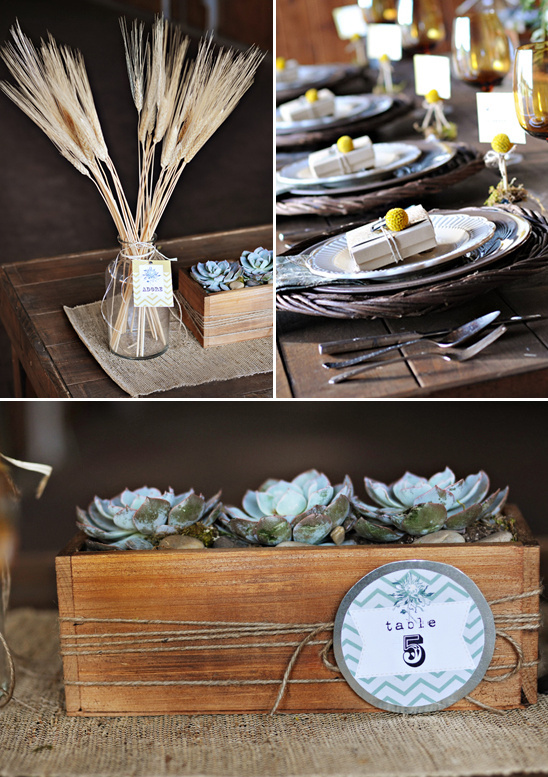 The ever-popular rustic style is accentuated in this shoot with appropriately themed table décor: Bird’s nest plate chargers hug pottery-inspired china accented with paisley patterned linens. 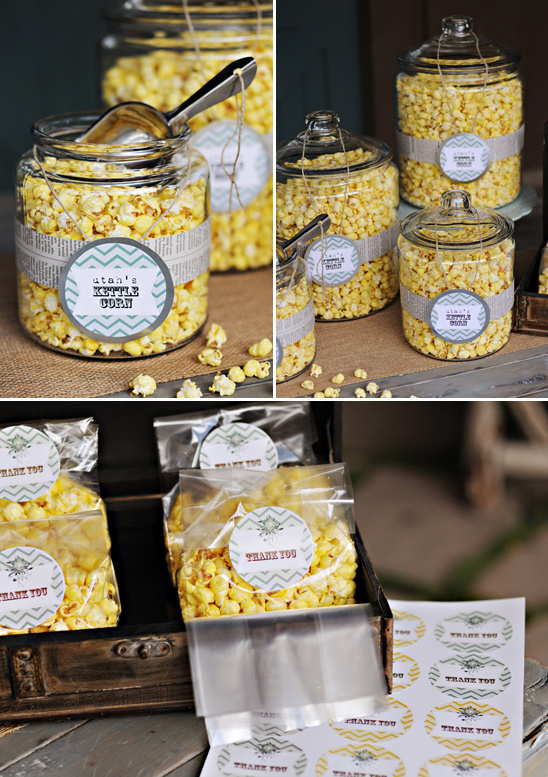 See more rustic wedding ideas in the full gallery. 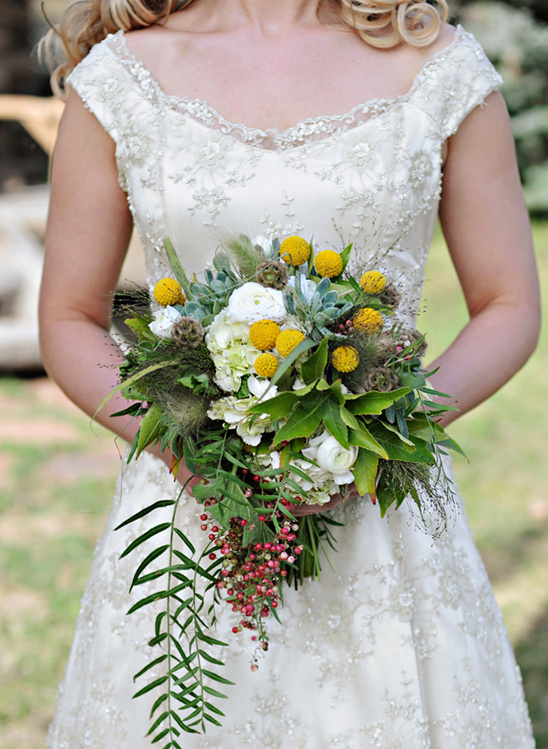 All beautifully captured by Amy Cloud McFarland. 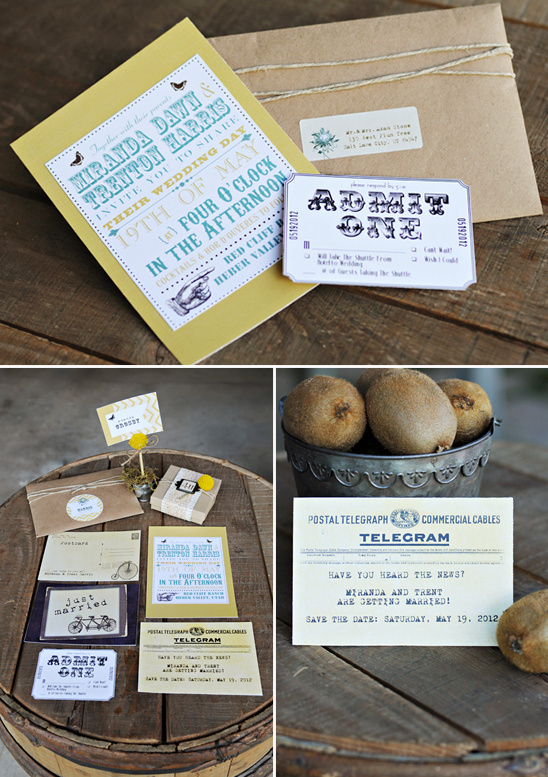 Freshly Minted Invitations created the adorable invitation suite including the paper embellishments on the table. 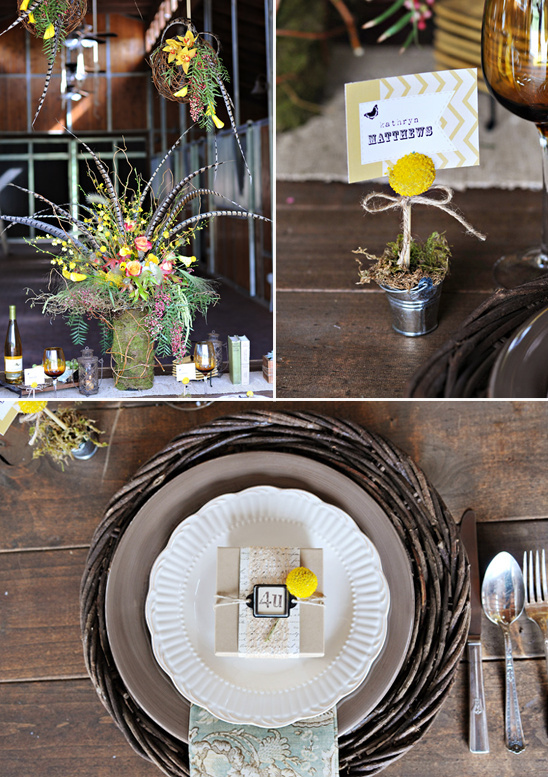 Throughout the décor, there are tons of stylish and theme-appropriate paper elements and embellishments sporting the popular “chevron” pattern to add a flare of modern trend to this rustic shoot. 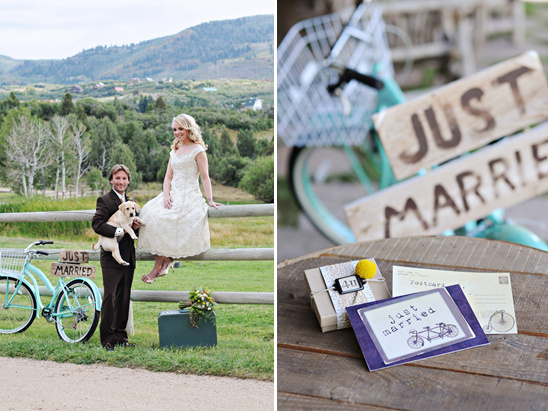 This lovely inspiration shoot was photographed and filmed at the breath-taking Red Cliff Ranch in Heber Utah. 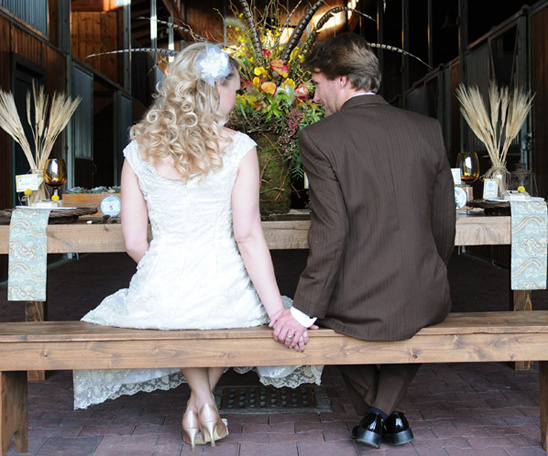 This venue provided Utah Events by Design with the perfect outdoor setting. 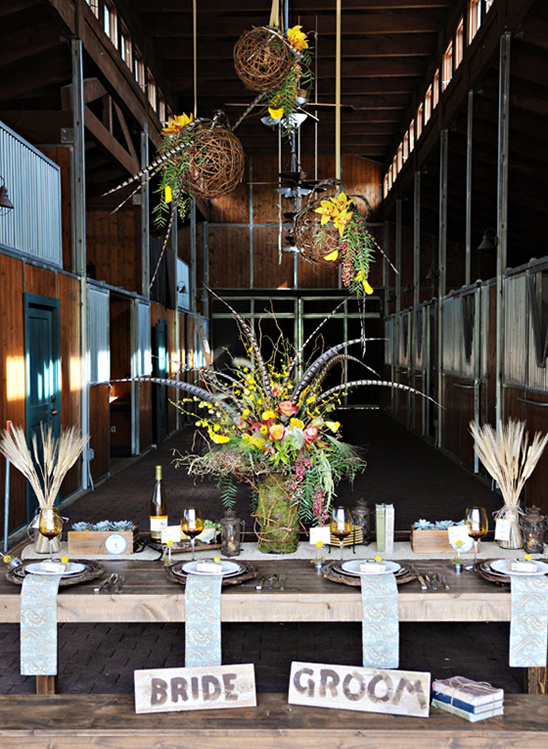 And the large, traditional-style barn welcomed our team with the ultimate rustic elegance for our table setting. 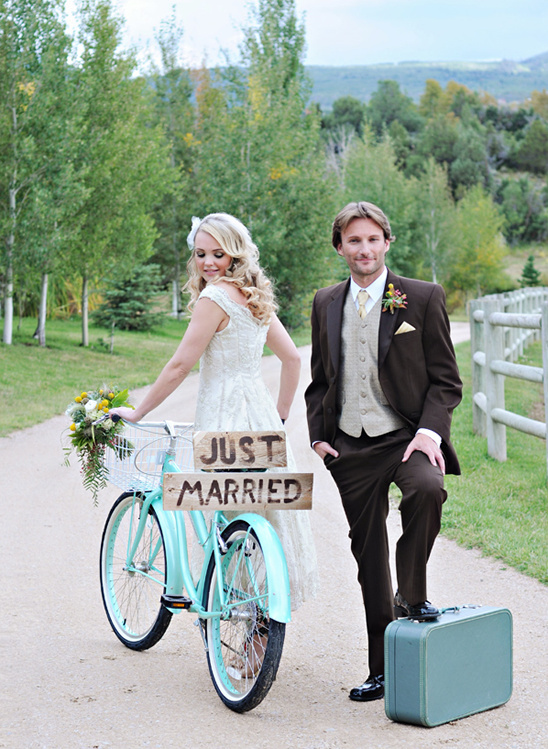 Outside the barn, we were surrounded by the gorgeous Red Cliffs in the east, and stunning views of the Rocky Mountains in the west. 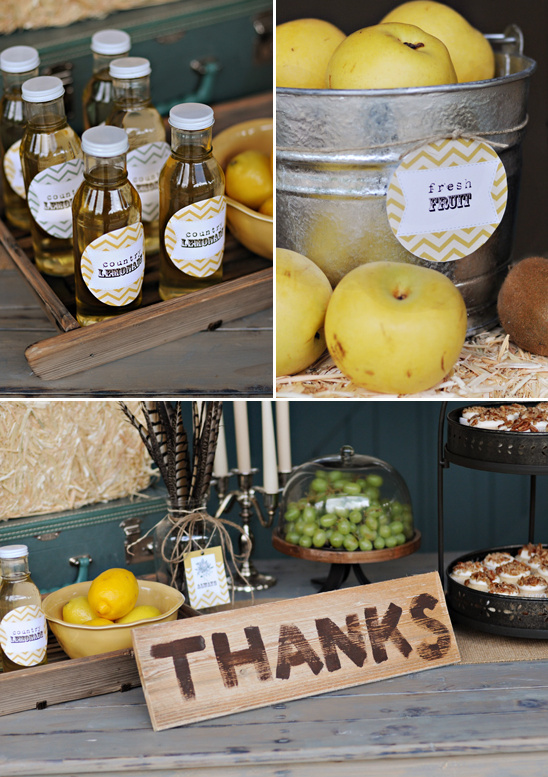 The dessert buffet is adorned with fresh fruit that complements the color pallet including some tasty treats such as Utah Kettle Corn, country lemonade, and simple cupcakes sprinkled with crushed walnuts. Below you will see the amazing cake created by Cake-a-Licious. 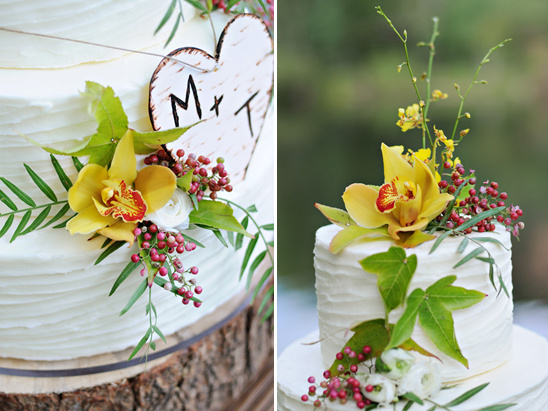 This three-tier cake smothered in thick layers of butter cream. 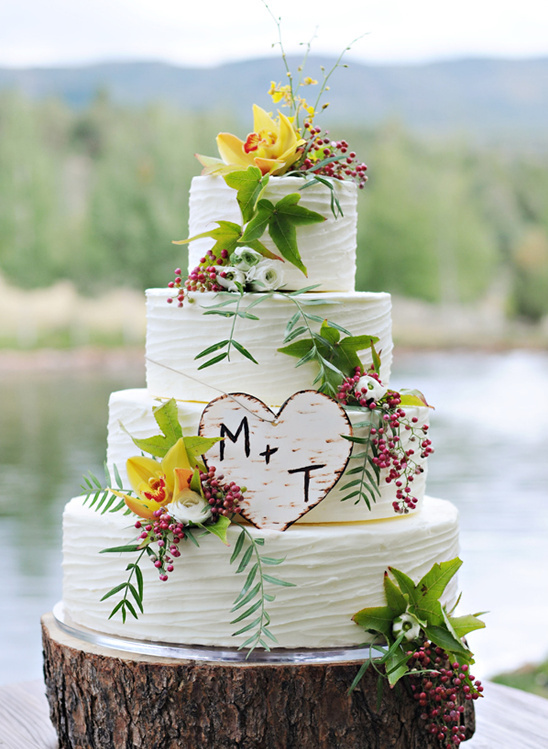 A natural wood stump provides the perfect cake stand, and the couple’s initials are carved in a cute wood heart accent piece to incorporate the rustic charm of the event design.